Colombia-based artist Diana Beltran Herrera has been fascinated by birds since she was a child, however it wasn’t until four years ago that she started working with their forms. 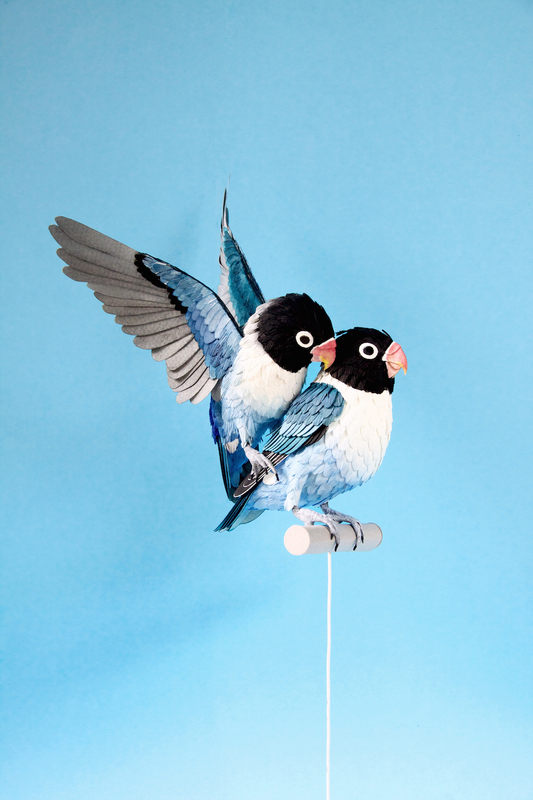 Her incredibly lifelike depictions are built entirely out of cut paper and imitate a variety of bird species from all over the world. Each iteration of her work we have followed with intrigue, including one of her latest projects which incorporates her sculptural pieces into oversized postage stamps from countries which she has always admired. 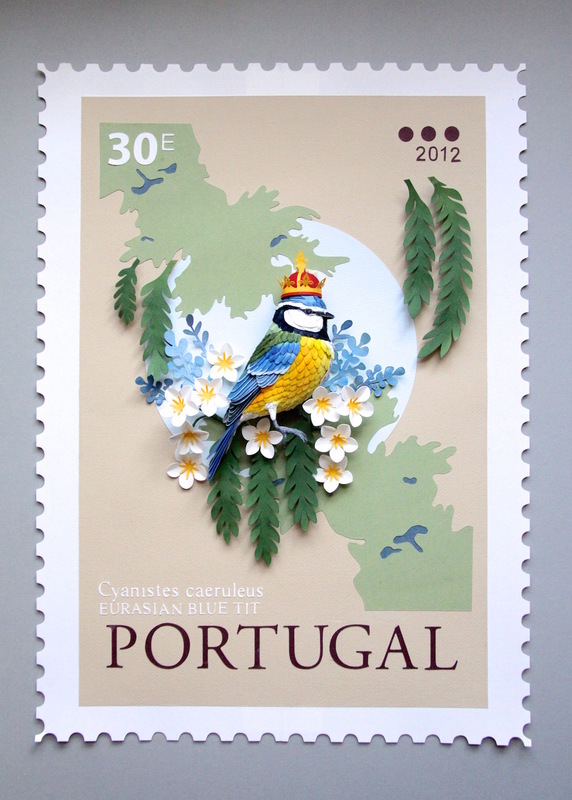 “I always felt inspired by postage stamps as they are little windows of the world,” said Herrera to Colossal, “specifically those that contain birds which are often traveling around the word. I have collected a few and I felt that I wanted to open those stamps to a much more realistic scale to learn more about that particular animal and its landscape.” Interested in wildlife far beyond its aesthetics, Herrera is also concerned with the ethical treatment of animals, especially when it comes to the illegal wildlife trade of birds happening in her country and abroad.